You are here: Home / Win! 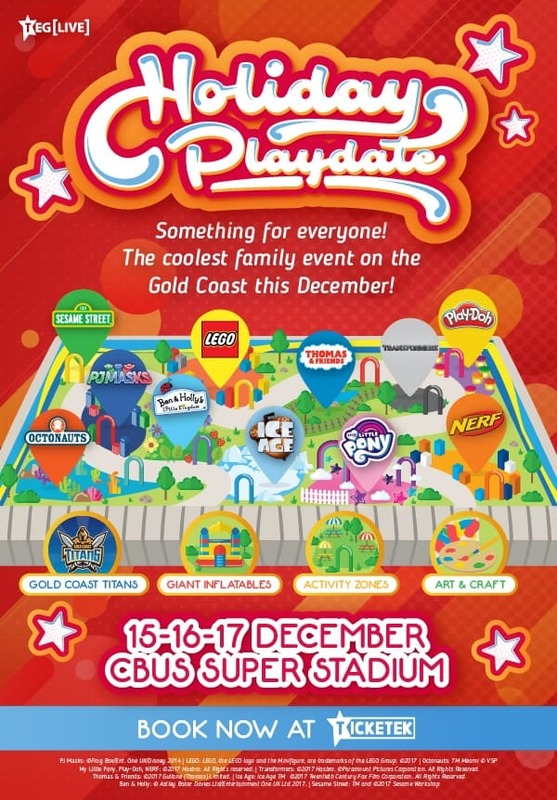 / Holiday Playdate Gold Coast – Win Tickets!! These summer holidays you’ll find everything in one arena on the Gold Coast over three huge days! 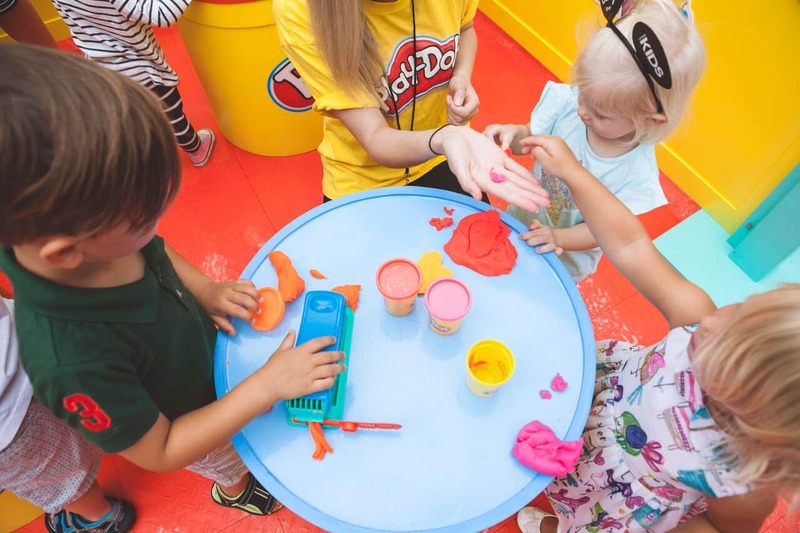 HOLIDAY PLAYDATE is a world-first, multi-brand festival that promises fun for the entire family. Featuring international character LIVE SHOWS on the Main Stage from PJ MASKS, BEN & HOLLY, THE OCTONAUTS and SESAME STREET…. and that’s just the start! Older kids will love NERF HQ as they battle it out as part of a team, challenge themselves in the obstacle run or try out the brand new NERF blasters, whilst TRANSFORMERS Autobot Mission offers an interactive mission experience. 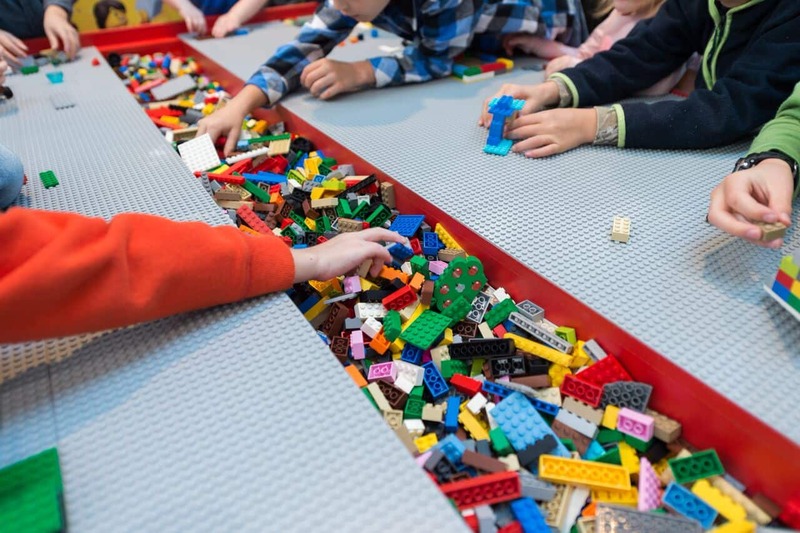 Plus there’s millions of blocks across multiple build zones in the LEGO PLAY ZONE, and even an ICE AGE INTERACTIVE ZONE complete with it’s own skating rink. Keep the little kids busy with MY LITTLE PONY, PLAY-DOH, THOMAS AND FRIENDS and Christmas Arts and Crafts zones, or get the whole family involved in a giant-sized game of OPERATION, CONNECT 4, SCRABBLE or PICTIONARY. All this and so much more, including appearances by GOLD COAST TITANS players, a GIANT INFLATABLE OBSTACLE COURSE, a visit from SANTA plus food and drink on sale and a dedicated parent’s chill out zone! We are lucky enough to have 3 family passes to giveaway to this fun day out – each pass is worth $100 so this is something you really want to get your hands on! To enter all you have to do is comment below with why you which area your kids will be most excited about (mine can’t wait to see PJ Masks!). The most creative comment will win and entries close Friday 8th December so get in quick! I have 3 little girls who have just discovered “my little pony” so I am sure we would spend a fair amount of time there! Although the husband will be pushing hard for a nerf adventure!! The Nerf centre would impress my 7 year old more than Mc Donalds. My grandchildren are all besotted with Pj Masks, Ben and Holly and the Octonauts. Captain from the Octonauts featured as birthday cakes this year. They will all be beside themselves with excitement. My 4 yo will be too excited to know what to do first! I will need to wear my best sneakers just to keep up with him running from Thomas to Octonaughts and PJ Masks but I think the Ice Age Interactive Zone may even upstage Santa ? My grandchildren are all besotted with Pj Masks, Ben and Holly and the Octonauts. Captain from the Octonauts featured as birthday cakes this year. He fills her heart with glee. By a beautiful Gold Coast mile. NERF HQ. My kids love their Nerf Guns. They get so much enjoyment out of make believe battle, even though its only a battle between the 2 of them, that’s why they would head straight to NERF HQ, to try and recruit others. I can assure you that the family pet will be most delighted if it could have a day off from trembling in fear. And Mum would be delighted in not picking up bullets from behind the furniture, over the fence and not having the frustration of getting them out of the vacuum cleaner! I have Miss 4 Miss 8 Mr 8 all these areas will blow them away they will love ALL the areas. Just getting out of the house and experiencing something hands on and exciting, having us all involved in something together is a bonus.